Unless you’re extremely well-versed in 20th century French literature, chances are you won’t have heard of Violette Leduc, the subject of Martin Provost’s biopic Violette. This, however, is no hurdle to appreciating it, as it is firstly a character study about one woman’s personal and psychological difficulties. Secondly, and thanks to its time-span from 1942 to 1964, it is also a welcome (especially in this age where the word feminism so often seems to have been tagged with negative connotations) look at a society slowly crawling towards progress for women to be taken seriously as equals to men. Recognising a potentially important ally to her cause, de Beauvoir identifies Violette’s natural ability to write with unrestrained freedom about taboo issues like female sexuality and abortion. Violette’s prose is raw, autobiographical and violently honest, so much so that 1950s France is, unsurprisingly, far from being ready for it. These attempts to exorcise her demons through art do not prove altogether effective for Violette, who is fazed by the non-existent reaction to her first works. In desperate need of some outlet for her love, she develops an overpowering and unrequited crush on de Beauvoir, who in her cold, controlled rationality, could not be a more different person. Violette successfully meets its challenge of translating what are mostly internal struggles into film. In keeping with the literary theme, the film’s episodic structure is split into seven chapters, named after key people in Violette’s life. It reflects the way she is defined by them, not yet fully comfortable nor confident in her own self, but instead held back by unhealthy emotional attachments she has created with those around her. Violette is a woman who must find herself, and learn that to love others she first must love herself. It’s no surprise that when she finally manages to do this, the final chapter title refers, at last, to her. Visually and aurally, the director’s choices often pay off: for example the use of cramped apartments or scenic countryside to reflect Violette’s different states of mind, or the decision to use the sublime music of Arvo Pärt. Overall though, stylistically it is fairly conventional: hardly as ground-breaking as the art of its protagonist, and perhaps a tad too long. 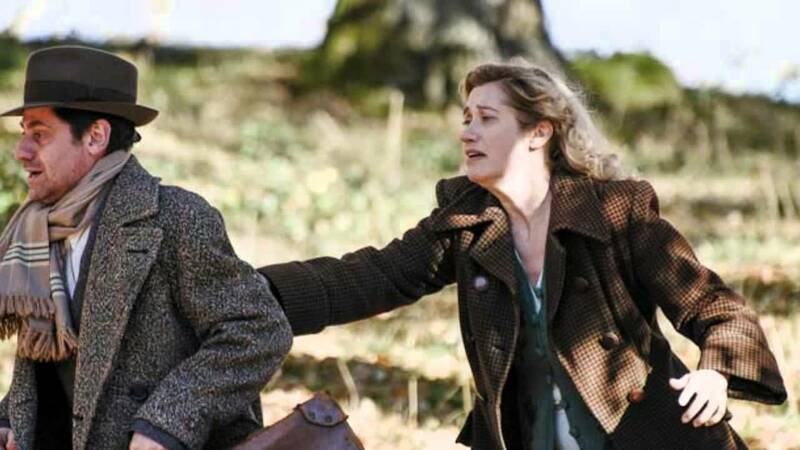 Nevertheless, the superb acting keeps Violette ticking. Provost, himself a former actor before he turned to directing, draws two remarkable performances from his lead actresses. Kimberlain is instantly believable as the icon de Beauvoir, but Devos is especially remarkable in a brave, unflattering role, donning a fake nose like Nicole Kidman famously did in The Hours, portraying another troubled 20th century writer. She nails her performance, and, through highs and lows, renders the journey of a free-spirited woman towards personal, professional and artistic emancipation. Thank you for the education about French literarists and philosophers. I shall look further into the work of those you mention. I hope too at some point to catch the film. Excellent review, as always.